Bad Touch are pleased to announce the release of their new studio album ‘Shake A Leg’ released worldwide on Friday 5th October 2018. To celebrate the occasion, the band have signed a worldwide album deal with Marshall Records and will release their new single ‘Skyman’ on Friday 10th August. The new album will be released on CD, limited edition gold vinyl and digital download. ‘Shake A Leg’ will be supported by a nationwide 18-date UK headline tour starting at Newcastle University Union on Wednesday 17th October. From today, the new ‘Skyman’ single is available to buy as a digital download, and as an instant grat track with all pre-orders of the new album. 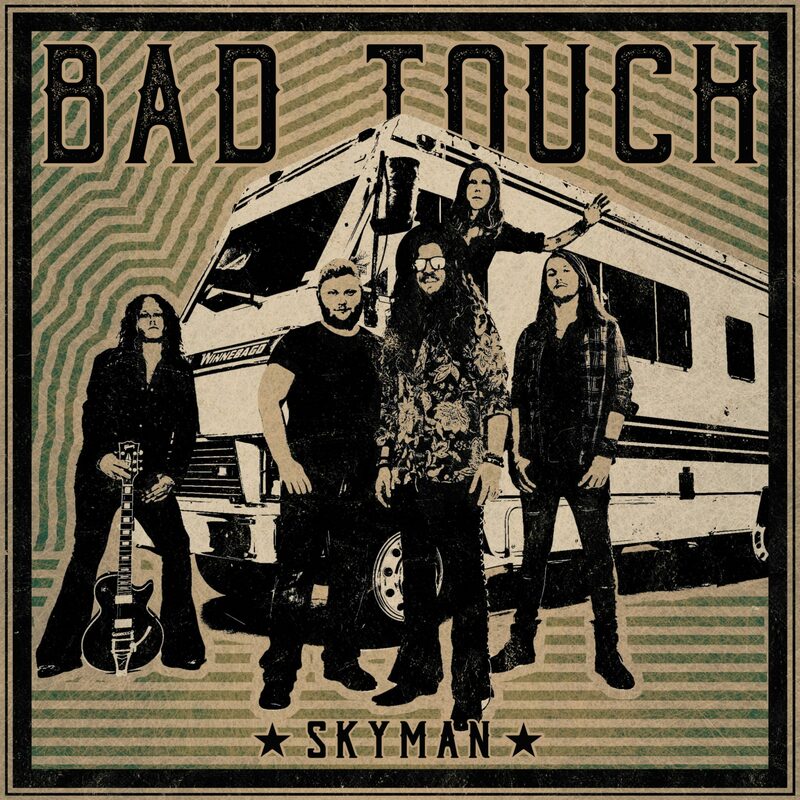 “Skyman” is Bad Touch’s homage to Duane Allman of the Allman Brothers whose nickname was “Skydog”. Bluesdoodles listened. Bluesdoodles liked. The single opens up portals deep into the fun-loving vein of Bad Touch’s Rock N’ roll infused music. The sound is as warm as the Southern sun that influences the beat. It is deep, dark and fulfilling as the best Bourbon created by the woodsman. The perfect song to welcome the Skyman when he comes to town. The crescendo from the drums of George Drewry that powers through this dramatic attention seeking single with the bass of Michael Bailey completing the winning rhythms. The guitar work from the pairing of Rob Glendinning & Daniel ‘Seeks’ Seeking once again catches your ear’s attention and the perfect foil for the vocal heights from Steve Westwood. We are definitely excited and full of anticipation for the release of the third album from Bad Touch ‘Shake A Leg’ released worldwide on Friday 5th October 2018. To celebrate the occasion, the band have signed a worldwide album deal with Marshall Records and will release their new single ‘Skyman’ on Friday 10th August. The new album will be released on CD, limited edition gold vinyl and digital download. ‘Shake A Leg’ will be supported by a nationwide 18-date UK headline tour starting at Newcastle University Union on Wednesday 17th October. From today, the new ‘Skyman’ single is available to buy as a digital download, and as an instant grat track with all pre-orders of the new album.